“To go back to the chicken and egg argument, it scares me that, one day, we will not have Phil Parkinson. Something, somewhere along the line, is going to break this journey up. This era cannot last forever. I’m hoping he does a Sir Alex, but we can’t tell. We need to embrace and cherish everything he has done for this club. What matters, for now, is that we have him. He is ours for three more years. Handing him that deal amidst early season scrutiny was a vital vote of confidence that allows Parkinson to further construct the club in his own way. If the club have learned lessons from their fall from the top flight, they have to keep close the principles that are helping them climb the league ladder again. As famous last words go, there’s a cracking 151 there. If you believe in tempting fate, send the mob this way. I penned that amidst a climate of widespread content, of general endorsement of Bradford City’s stability against an otherwise manic landscape of short-termism. There were 69 managerial changes over the 92 clubs last year, and 19 in League One alone. All the while, we stood smugly still, an oft-lone beacon of calm amidst the Yorkshire maelstrom particularly. 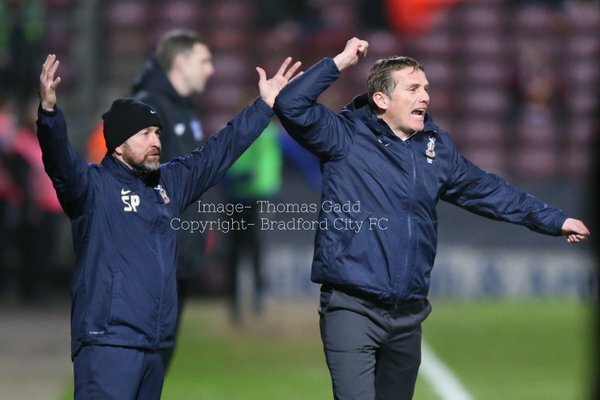 But as the dust settles on Phil Parkinson’s departure, and the immediate pain, desolation and betrayal subsides, attention turns to more practical measures and where this leaves Bradford City in both the long and medium-term. The penultimate line of the above article seemed fitting at the time: Bradford City was, inescapably, Phil Parkinson, in so many ways. The seamlessness of the transition between is and was now becomes the measure of success for this football club – and the new owners in particular – as they begin to pick up the pieces. Right now, I think my sympathy lies instinctively with the owners, if anyone. The club insist they tried everything to keep Parkinson. He was probably a big selling point for them, the reason – if any – Bradford stood out among all others. They spoke publically of wanting to work with him. They didn’t understand the anxiety over his position because, to them, sacking him was unthinkable. Parkinson wanted a new challenge and was firm in stressing this. They didn’t want him to go. But he has, leaving, in his eyes, a blank canvas for everyone involved. A clean break at the end of an era. The last chapter in Parkinson’s project. “The day I leave, and Julian and Mark leave the club, whoever comes in to replace us will see the fantastic structure we can get in place the club. That’s really the aim. The issue here, however, is that the shadow of his legacy looms inevitably large. In the same article in which I unknowingly signed that death warrant, I tapped into one of the fundamental caveats of having one of the country’s longest-serving managers. Parkinson has left this club on sounder footing, but how hard is it to continue without him? Can we continue his project in his vein? Should we? Should someone else pick up right where he left off? Is it right to expect, to want, another manager to take that mantle on? Is that carryover inevitable, given where we now stand? Do we keep some of Parkinson’s principles? Do we scrap them all? People can stand up and say that we were there before Phil Parkinson and Bradford City will be there after him, but so much of our approach as a club was bound up to him. Without him, the future is uncertain. The world of social media and rolling news fuels a demand for information that, sometimes, just isn’t there. At its worst, you spend two hours of your Friday afternoon laughing hysterically at pictures of empty chairs. In the meantime, you’re left rummaging through the bowels of the web for clues. This (translated) German interview with Rahic and Rupp emerged last week to quench some of the thirst, but brought further concern, despite the obvious limitation that it’s not easy to translate something exactly. If there was one criticism of Parkinson, it was his reluctance – perhaps inability – to pave a path for City’s own youth players to sustained first team involvement. Oli McBurnie was bloodied too early; others enjoy the experience of a professional environment for a year, but are released annually. Given how Bradford City have often lived within tight financial constraints, ramping up the necessity of success, it’s hardly surprising Parkinson chose to neglect this area. He’s judged primarily in points on the board, and rightfully so. Perhaps there was a view to a wholesale change in philosophy that was overly-idealistic against the parameters Parkinson was used to working within and the stakes of League One football. Potentially worryingly, City have history in Rahic’s plan to breed the academy cast-offs, trying such an approach in 2011, under Jackson, and in 2003/04, when the club were relegated to the third tier. City signed players like Ben Muirhead, Tom Kearney, Michael Standing, Luke Cornwall and Robert Wolleaston, but none, with the exception of Muirhead, really established themselves. Most dropped to non-league very quickly. There’s a reason Cullen and Burke have futures at West Ham – they’re head and shoulders above the rest. Manchester City released Devante Cole – he had talent, but the mentality was all wrong. That Rahic has publically stated he wants to “spar” with managers over team selections and signings isn’t actually that new at City. One of the reasons that Lawn, Rhodes and Parkinson worked as a partnership was that the latter was open about team selection and was happy to face criticism. Where that dynamic works (and Parkinson clearly viewed it as par for the course, and not an intrusion), it’s fine, but it was ultimately Parkinson who determined the playing style, and the demands from the board were reasonable in light of this. Parkinson has touched upon the ideas of assets before, and brought in Billy Knott, Greg Leigh and Josh Morris to fit in with that ethos. However, he quickly saw its limitations in practice: inconsistency, injuries and better options, loan players or otherwise. Where the target is promotion, you can’t constantly look towards building something for the future. You have to marry the long and short-term. Although the new owners looked eager to work with Parkinson, we know so little about them that gauging the likelihood of a conflict of ideas and intentions is difficult. Had the owners discussed bringing Rosler in as a Director of Football – an addition to the hierarchy that can be perilous unless roles and responsibilities are properly defined – perhaps the possibility of less control would have been alarming for Parkinson, who previously enjoyed near-total autonomy under Lawn and Rhodes. In the same article, the new owners talk of “creating a young team that stay together for years”, employing a style that is “modern, aggressive, with counter pressing.” That this philosophy comes from above, and not one manager, is not necessarily a bad thing (see Swansea), but would a manager like Parkinson, renowned for pragmatism, have seen that as an imposition, an infringement? Does that overriding statement of intent then offer an indication of the type of manager Rahic and Rupp will ultimately hire? Will they then be working under the order for a particular type of football, and will that be with the players that Parkinson signed, if the Bolton boss doesn’t purge the remaining contracted few? Will that matter, in view of a new arrival? Of all the names touted, Neil Redfearn is probably the glaring one where youth development is paramount, but, having lost 14 of 21 games at Rotherham, how well does that bode for first team management? Rosler might publically try to play down interest, but his Wikipedia page actually contains the words “high, pressing style of football”, Rosler dubbing his style “’heavy metal’ attacking football” (JURGEN KLOPP LINK I AM WELL ON BOARD WITH THIS). 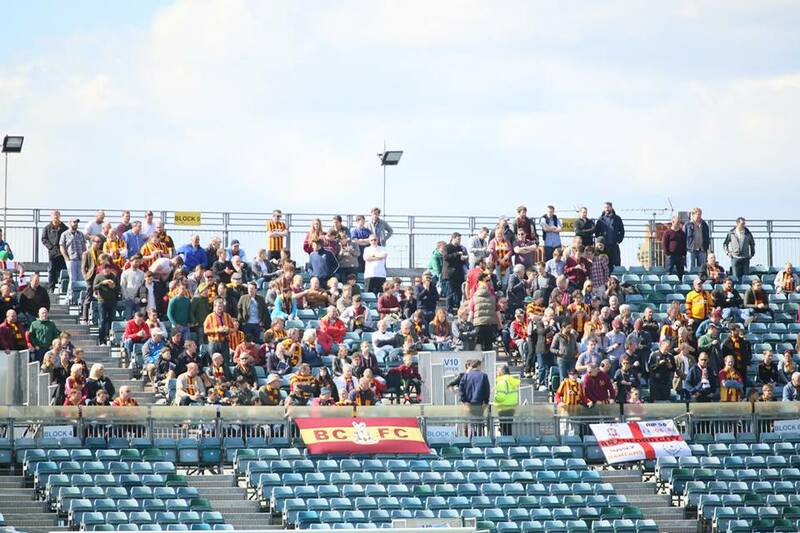 Rahic and Rupp have already acknowledged the depth of connection between the club and its supporters, given Bradford City’s history. Nonetheless, a crossroads of this nature inevitably makes us consider what we value in a football team. I think the best footballing (non-cup) performance I saw under Parkinson, from a technical point of view, was Coventry at home in 2014, when the diamond was tried in the league for the first time: City were unbelievable in some passages of play that day, although they still conceded two. But was that side, that game, the most memorable aspect of Parkinson’s reign? Probably not – you’re looking at the resilience and spirit displayed against Arsenal, Aston Villa, Chelsea and Leeds, which can be fostered even without playing free-flowing football (or even when playing by the rules – TONY McMAHON SUPERFAN AND PROUD). Ideally, you’d want to combine the two. Every interview the History Makers did revealed the tight-knit nature of the squad, something that directly informed the relationship between fans and players that culminated in that final lap of honour against Chesterfield. Rahic’s acknowledgement of the significance and depth of this bond is important, but not necessarily something that can be viewed apart from the manager he elects. Will success be hollow if it’s not attained via a team we can believe in? Without Parkinson, for whom character was always so blatantly paramount, does the yardstick for success now change? How much credit thus lies with Nick Allamby, whose fitness work was vital in turning City into one of the most formidable second half teams of 2013? Endearingly, Rosler emphasises similar characteristics, former players crediting him with overhauling club’s entire approach through, like Parkinson, emphasising the importance of character. You can’t let Deluded Brendan hear you say the C-word, but what else is there in football, really, at this level? Peter Jackson wanted that spirit in his 2011/12 team, and spoke repeatedly of how far the right attitude could take a team, but didn’t stick at the job long enough to see that through. Parkinson said all along that he wanted to improve every aspect of the club. Leave us with solid foundations. Restore pride, hope, a sense of collective belonging. To that end, he kept his promise. He did what he had to do. That business may feel unfinished, but the onus now lies with somebody else. They have to continue what he started. How they do that – how far they carry on in his vein, wisely or otherwise – dictates the extent to which we will continue to be Parkinson’s Bradford City. If this upward trajectory is maintained, that tag might be a little harder to shake. When apportioning success, Parkinson, Lawn and Rhodes will still deserve so many of the plaudits. Think you’re right that PPs philosophy didnt match up with that of the new owners. It’s so difficult, like you say to take the cream of the crop from the released premier league kids – we’ve gone down that route before and failed. If we’re going back to it at the expense of PPs successful philosophy then it is a major worry. I’ve had the same thoughts as you that Redfearn would fit the new approach but as you say, his record at Rotherham was dire and furthermore his stats as manager of Scarborough were even more appalling. He did OK at Leeds but he knew the youth set up inside out at that club. If they really want their own man in then I hope that they go with Rosler rather than Redfearn. The problem was we were signing pretty low-level released PL youth players because nobody else wanted them and they were on low wages. Every year we had to slash the wage bill and we pretty much took who we could. Hence the reason why we slid down the leagues! I suspect the new owners will be looking for a higher standard of youth player that will improve the team and be a valuable asset they could sell on in the future. I hope so anyway! The whole parkinson approach revitilised the club. He had a strong backroom staff that paid dividens and paved the way for city’s sucess through continuity, professionalism and togetherness. Allamby the dietitian that underpinned Parkinsons ethos and hardworking approach which matched many a higher ranking opponent in cup football. Butler the goal keeping coach that must have played a part in organising the defence, improving the first choice keeper and a record 24 clean sheets this season. Tim Breaker chief scout and former west ham player who was instrumental in opening doors to allowing players of the caliber of Burke and Cullen joining the club. Last and not least Steve Parkin who was the sounding board and ear to lend when things were not going as planned both in a public and orivate sence. That equates to much more than 1 individuals imput over the 5 years in charge. A real team effort and every last part of the jigsaw has moved to Bolton Wanderers with Phil Parkinson that shows the trust and importance of this balanced approach backed by the chairmen, affordable season tickets and supporters not only buying into the journey but been a real part of the clubs success. A real joint effort that to me as a supporter has felt like a club in tune with its fans and moving in the right direction season on season. What Im trying to say is that it will take a lot lot more than just getting the right man in for the job, a strategy for creaming off unwanted talent from top clubs to reproduce the progess and take the club to the next level. There’s very little in the way of communication and blueprints in how this is going to be achieved by our new German owners. All i know is Parkinson and his team will be a hard act to follow. I don’t buy into the “creaming off unwanted PL talent” strategy. If it was that easy smaller clubs around Greater Manchester and London would be much stronger than they are. Of course the top clubs stockpile young talent, but my feeling is that the talent is like a very broad based pyramid – there’s a small number of players who are exceptional and make it, but the broad base is very average. The problem PL teams have is that they don’t know who’s going to emerge as a top player so they have to recruit a very broad base and I don’t think that the talent in the base is particularly any better than at other clubs down the league. However, to contradict myself I actually thought Tom Kearny in particular was a good find and was very unlucky with injuries. He joined the bantams in free fall. Had he not been injured and had he joined a more stable club maybe he would have gone on to enjoy a longer career in the professional game. Noticed Stuart McCall is reported to be interested in the job. Whilst I love him to bits and would love him to do well I’m not sure I could stand the emotional rollercoaster. One of Parky’s strengths was his ruthlessness and at times dispassion. He never got carried away with a win, but equally never lingered over a defeat. I always got the feeling that it mattered too much to Stuart so for his sanity, and mine, I hope he doesn’t get the job. Sadly I genuinely think we’ll finish lower in the league next season. And just the other day, Portsmouth were lauding the BCAFC ethos. As an act to follow, and stick to. Things change – sometimes in what may appear to be a nano second – but they change. 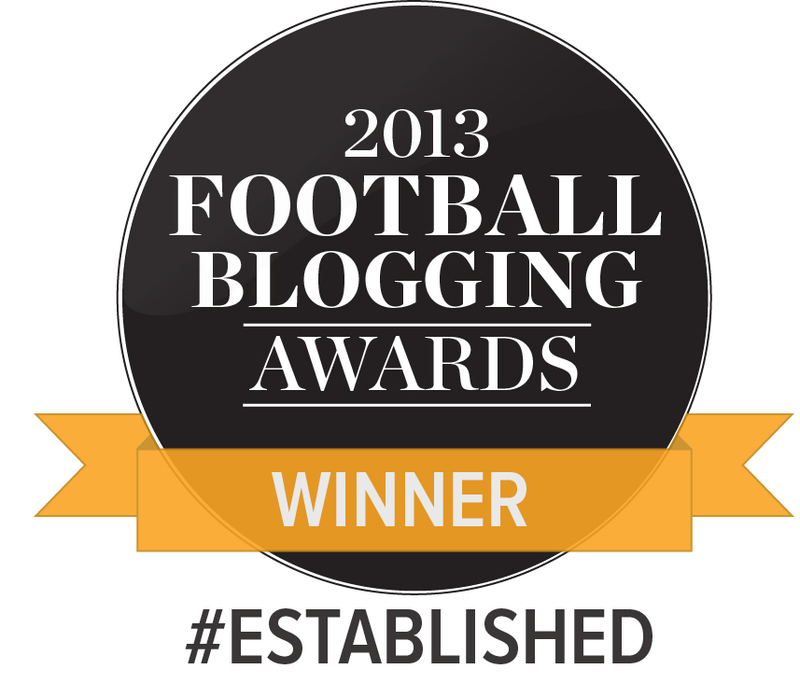 So it is with BCAFC, and no one, as I write, can claim to know more than any other – nothing !! A new dawn, a new day, and we’re feelin’ good. We as supporters have new expectations, yet I suspect not in the way of promotion – just moving along the line of upward progress. If progress is seen to be made, we’ll see no detractors. An excellent and well put together story, Katie, Indeed, sad times ahead, As you have stated, It was not just the team that Parkinson wanted to embrace, also the Bradford community, which he did to some aspect. I have been a Bradford City SUPPORTER since 3rd JANUARY, 1970(does that ring a bell? )therefore, I, for one is extremely saddened of Parkinson’s departure. City 2 – Spurs 2. Remember it well! Eloquent piece, but PP has left us and what’s more, in the lurch! Not quite sure I get the bit about Parkinson, or the club as a whole come to that, embracing the Bradford community. The last photo I can remember of Parkinson at a public event, one of few such photos, was the opening of the Broadway shopping Centre. Not what I would describe as “community work”. Agreed, but I guess the point is that the success he brought to the club and the manner in which he led the it over his five year spell lifted the entire City of Bradford. Just look at the vibe in and around Mannor Row on match days – the whole place seems to have come alive. Now maybe I see things through a bantam lens and that a ‘normal’ non footballing Bradfordian wouldn’t have felt that lift in mood. You could argue that any successful manager would have lifted the city in a similar vein but we’ve had so few in the last 15 years its hard to make that assumption! Lets hope we get the chance to find out next season. BUT the fact remains that given the compensation the new Board would have had to pay to Parkinson and his team – much easier to let Bolton poach him (and maybe get some compensation) and then let PP take the flack. We can only conjecture but having been personally involved in takeover situations – your whole outlook changes – and as someone rightly said in T&A PP might just not have liked the new owner – it happens. I see a very clever scam by the owners more because of their inactivity before last week’s events and the new Chsirman’s announcement that he was an ex-scout and had a coaching certificate. That would really endear you to a professional like PP and put your back up. Maybe I am being too negative – after all I witnessed the Bob Martin fiasco – but these owners seem to be reluctant to commit to anything except sleazy PR. If they got their hand in their pockets I would not be fretting as much as I am now. According to Internet – Stuart agreed in principle to become manager again? !